I have long been a fan of dystopian literature, I was thrilled when it become popular and more and more books featuring a dystopian world began to hit the shelf. Here are 15 dystopian novels that I have personal read that I think are worth the read. 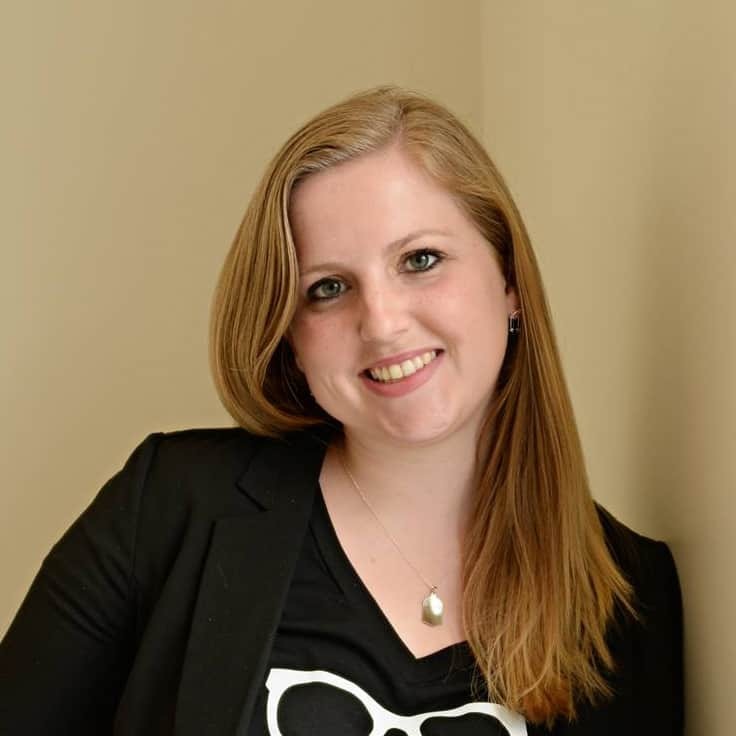 Matched by Ally Condie– Who she will marry and where she will work will be decided by the society. Cassia has always known and accepted this, until when she is officially matched with her best friend and for a split second she sees another face on the screen. Now choices she has never considered open up before her. I really loved Cassia’s whole world in this book, Condie set it up brilliantly. Delirium by Lauren Oliver– Love can makes us do stupid things, so Lena like everyone else in society must undergo a medical procedure on their 18th birthday to cure them of their ability to love. Lena must choose to lose her ability to love or leave the only world she has ever known. This seems to be quite a polarizing book, Oliver tends to have that effect on people. I am in the camp of people who loved it. The 5th Wave by Rick Yancey – The alien invasion of earth has come in waves. The 1st wave made all forms of electronic unusable and killed around half a million people. The second was a large tsunami that decimated all of the coastal cities, killing about 3 billion people. The 3rd wave was a plague that kills almost every one else. The 4th wave are silencers, aliens sent to take out who is left. No one knows what they 5th wave will be, just that it is coming. Overall, this isn’t my favorite dystopian, I am not dying for the second book, but I will probably read it. Divergent by Veronica Roth– In a world divided into factions based on a individual principal, honesty, bravery, selflessness, intelligence and kindness, 16-year-old Tris realizes she could fit into any number of the factions, she is something called Divergent. A secret that if discovered could end up taking her life. The first book in the series is one of my all time favorites, but I usually stop there when reading this series. Fahrenheit 451 by Ray Bradbury– In a world where firemen don’t save houses from burning, they burn books, Guy Montag realizes when he sees people willing to die for their books that maybe they are worth saving after all. This is such an important book about apathy and censorship, I wish every high school student had to read it. Shatter Me by Tahereh MaFi – No one knows what has made Juliette the way she is. She just knows that if she touches someone, they will die. The reestablishment first throws her in a cell, then they let her out only to abuse her power. Will she become a pawn in their game? This is a good series, not my favorite but one I might revisit in the future. The Host by Stephenie Meyer– Even though Melanie’s body has been invaded by an alien host, she refuses to fade away. Instead she fills her host will the desire to find her Melanie’s family and make sure they are alright amid the alien invasion. I always feel like people are scared off of this book because it was written by the same author as Twilight. I love the complexity of this story and the entire set up of the aliens and the humans. So worth the read and nobody sparkles. Promise. Uglies by Scott Westerfeld– In a world where the thing that matters most is your appearance, Tally can’t wait for the surgery that will turn her pretty. When Tally’s friend Shay decides she doesn’t want the surgery at all and runs away, Tally is given two choices find her friend or not be allowed to have the surgery she desperately wants. Her journey to find Shay will change her forever. I love this series, the first two especially. The Selection by Kiera Cass- America finds herself taken from her home, and thrust into the middle of a reality show designed to help the prince find his future wife. Political unrest and a truly unfair socioeconomic system makes even being near the castle dangerous. Will America survive the selection? This is probably one of the more romantic dysopian series on this list and such a good read. The Jewel by Amy Ewing– The elite of society can no longer produce their own children, but since money can seemingly buy everything, they start purchasing surrogates from the lower class. These women aren’t given any choice but to give their lives and their bodies over to royalty. It is the only thing they live for, but Violet doesn’t want to be surrogate. She wants a life of her own, one that she chooses. The idea of forced surrogacy is one of the creepier plots on this list, but it The Jewel is a page turner for sure. The Giver by Lois Lowry– Probably one of the most famous dystopian books of all time, The Giver follows 12-year-old Jonas as he is chosen to be the next giver. A unique position that will give him access to all the memories of his society. The memories turn his world upside down as he realizes nothing is like it seems. The Winner’s Curse by Marie Rutkoski– A general’s daughter in a culture that values conquering and enslaving the people around them, Kestrel has two choices. Join the military or get married, but neither appeal to Kestrel. At a slave auction, she purchases a slave named Arin who has a secret that could unravel both of their world’s. I thought this one was really interesting, I haven’t read the next book yet, but I plan to. The Testing by Joelle Charbonneau- The Seven Stages War left most of the world desolate but students are chosen to undergo the Testing, so see if they will be part of the rebuilding face. Faced with tests in both academic performance and physical survival, Cia is eager to prove her worth but what is she really being tested for? Cinder by Marissa Meyer– Cinder is an amazing mechanic, but she is considered a second rate citizen because she is a cyborg. In a world where a plague is killing a good part of the population, Cinder finds that she is immune to the disease, but to find answers to who she is, she will have to take on the queen of the moon. This fairytale retelling of Cinderella has the perfect dystopian twist and the books just get better and better with each one. Hunger Games by Suzanne Collins– I am pretty sure I don’t need to tell you much about this one. This series opened the doors for so many YA dystopian series to follow, it has its ups and down but worth the read for sure. What is your favorite Dystopian? 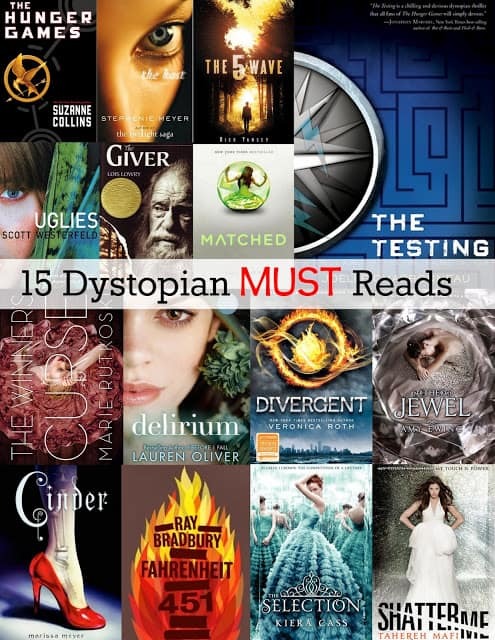 I don't read too many Dystopian novels–there have been a few and I did enjoy them! I think I read Divergent lol. I read so many books that I don't always remember all of them–hey I am getting older what can I tell you! I read The Giver years and years ago, but the images stuck with me. Imagine never knowing snow, warmth, or more importantly love. I need to check out more from your list. Well I've been told I need to read the Hunger Games. I'm not sure I'm into Dystopian novels too much, but some of it seems interesting. Greg Bears the Forge of God, an evil alien race goes around the universe taking out any competition. Also if you have 451, you must also have Brave New World, and 1984. Its amazing how true these three novels have become. As Bradbury said " he does not write to predict the future,he writes to prevent it." Some of these I've already read and they're great – but I see several on the list that I definitely need to check out! Thanks for sharing this list! Great list! I have been wanting to read the Hunger Games books after really loving the movies. I have them in ebook form, just need to get around the reading them!